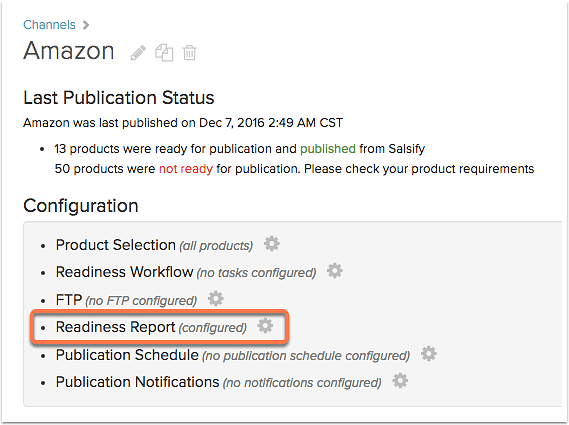 The Readiness Report allows you to map your product content to the retailers' requirements directly inside Salsify, instead of using templated exports. 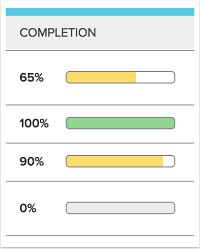 Since this is done directly within Salsify, it also gives you feedback around how complete and valid, or how ready your content is to go to the retailer (this is why it is called Readiness Report). If you need the readiness report configured for a particular retailer, our Customer Success team will set up the attributes for that retailer and then enable the readiness report for you. You can access the readiness report for an existing channel from that channel's configuration menu, either by clicking on its name or by clicking the gear icon. The top of the Readiness Report screen displays the readiness summary. 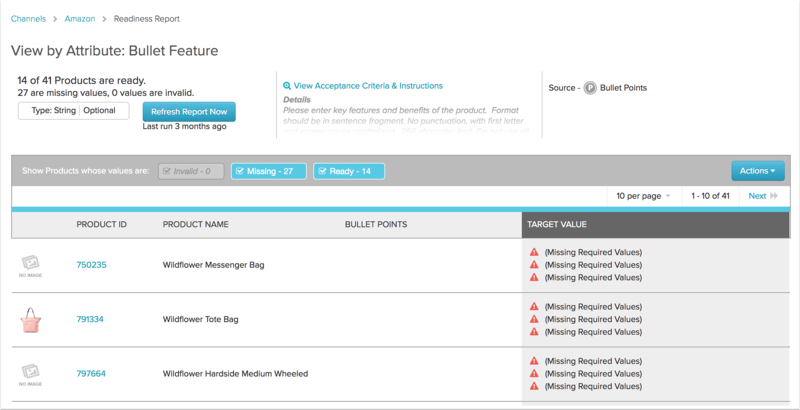 This shows you how many products are complete, or ready to go to the retailer, as well as details regarding the attributes' readiness status. 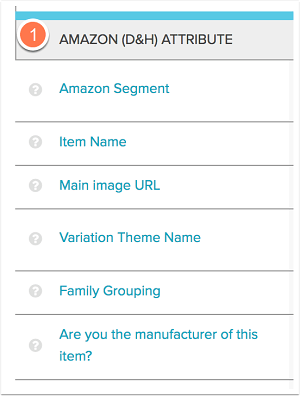 Often, readiness reports contain a product category or segment. This attribute needs to be filled in to allow category-specific attributes to appear in the readiness report. Until this is mapped, you'll see only the properties that apply to all categories. 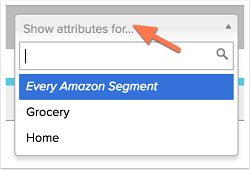 In some cases, you may only see the segment/category attribute until it is mapped. The easiest way to map this property is to apply value mapping, where you generate a file that associates your existing category values to the retailer's. Click here to learn how value mapping works. If your categories are not a good match for the readiness report categories, or you'd prefer to add a category for each product individually, create an enumerated/picklist property, and use the retailer's segments as the values. Add the values to a new Salsify property. Follow the steps to update property value metadata here. When the category/segment is mapped, refresh the readiness report to open up the segment-specific properties for mapping.. The attribute section displays detailed information about attributes. The dropdown menu in the top left corner of the screen lets you select attributes for a certain segment or for every segment. The search bar allows you to find attributes based on their partial or complete name. The attribute section displays detailed information about selected attributes. It is split into five columns. The Attribute column displays the name of the attributes in the list. Rolling your mouse cursor over the question mark icon will bring up the description of that attribute. If you click the name of an attribute, you can to see the attribute details. The Required column shows you whether an attribute is required or not for the retailer. Required attributes are marked with the letter Y. For attributes that are not required, the field is left blank. The Data Type column displays information about the type of data associated with each attribute. The Completion column displays a bar illustrating the degree of completion, or how many products out of the total have information for that attribute. In the Source column you can choose the source for a certain attribute. Click on Choose Source to set the source for an attribute. Next, select the source type from a dropdown menu. If you want to map it later, select None. If the attribute is not relevant to your products, you can choose to leave it blank by selecting Not Applicable. Select Formula if you want to use a certain formula for that attribute. Here you can enter any of the formulas presented in the Cheat Sheet article, only without the "SALSIFY_" prefix. You can also map the attribute directly to a property. To do this, select New Property to map to a property that has not yet been defined, or choose one of the existing properties from the list. To edit a source that has already been mapped, roll your mouse cursor over the attributes row and click the pencil icon. You can check how ready your product content is to go out to the retailer by clicking the Refresh Now button at the top right of the screen. To view the attributes in a certain category, check the box beneath the title, while leaving the others unchecked. Clicking the name of an attribute will bring up the attribute details. Here you can see the products which have the required attribute missing, invalid and complete. In the example above, the selected attribute is missing for six products. To display only products with the missing attribute, uncheck the boxes associated with the other two statuses (Invalid and Complete). Note that the checkbox will be grayed out if there are no products with that status. In our example, this applies to the Invalid status. 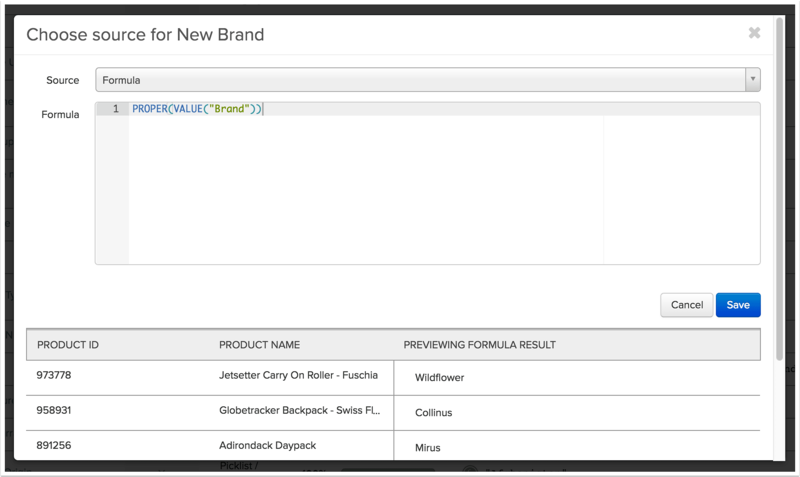 Click on the SKU to access a product's properties. Here you can you and add the missing information for that attribute. You can repeat these steps to add information for each product. You can also download all of the products that have missing information for a particular attribute.